This memo informs employers about the requirements of the Nurse Licensure Compact. If I have a multistate license from another Compact State, when should I apply for licensure by endorsement in Florida? 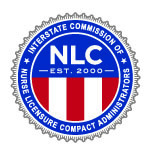 When moving (changing primary state of legal residence) to a new NLC state, it is the nurse’s responsibility to apply for licensure by endorsement. This should be completed upon moving and the nurse should not delay. There is no grace period. The nurse may not wait until the former license expires to apply in the nurse’s new state of legal residency. The nurse may practice on the former home state license only UNTIL the multistate license in the new NLC home state is issued. Proof of residency such as a driver’s license may be required. Upon issuance of a new multistate license, the former license is inactivated. Do I need to get my fingerprints done to apply for the upgrade? The Board of Nursing will accept Livescan fingerprints completed within the previous 90 days of applying for the upgrade. If you have not had your fingerprints done and sent to the Board in the last 90 days, you will need to be fingerprinted. How do I apply for an APRN license if I have a Multi-State Compact RN license in another state? Any nurse desiring to be certified as an advanced practice registered nurse shall apply to the department and submit proof that he or she holds a current license to practice professional nursing or holds an active multi-state license to practice professional nursing pursuant to Section 464.0095, FS. What ORI # will I use if I need to be fingerprinted to upgrade to a Multi-State License (MSL)? When I renew, will I receive the multi-state license automatically? The multi-state license application is separate from your renewal and has a one-time application fee of $100. This application can be completed online starting January 19, 2018. Once the application is complete and approved, you will be issued a new paper license with your same license number but it will indicate that you are now eligible to work anywhere within the Compact with the words “Multi-State Registered Nurse” printed on the license. The application review process may take up to 30 days. It is not mandatory that you obtain a multi-state license and completing this application will not renew and update the expiration date on your license. A licensee renews the single state or multi-state license which is held at the time of a biennial renewal. What statute talks about the Nurse Licensure Compact? The Nurse Practice Act, Section 464.0095, FS, talks about the requirements specific to the Nurse Licensure Compact. Please visit Chapter 464, Part I: Nurse Practice Act to see the statute. What does Multi-State License mean? “Multi-State license” means a license issued by the Florida Department of Health to practice as a registered nurse (RN) or a licensed practical nurse (LPN) in all Nurse Licensure Compact states under a multi-state licensure privilege. What does Single-State License mean? “Single-State license” means a license issued by the Florida Department of Health to practice as a registered nurse (RN) or a licensed practical nurse (LPN) within the state of Florida and which does not include a multi-state licensure privilege to practice in any other Nurse Licensure Compact state. When creating your account online, to set an appointment with your chosen livescan provider, you must indicate the reason for screening. Make sure to select the Department of Health/Division of Medical Quality Assurance, the selection Board of Nursing is not for the Department of Health licensing purposes. If I apply for licensure through VALOR will I receive a multistate license? VALOR applications are only reviewed for single state licensure. If you would like to have the multistate privileges added to your license, you can apply for the multistate upgrade once your single state license has been issued. I graduated from a nursing program outside of the United States. How do I qualify for multistate licensure? How do I apply for the Multistate Upgrade? In order to have multistate privileges in the compact, log into your MQA account and select “Multi-State Registered Nurse Application” from the drop-down menu under “Manage My License”. The application requires a $100.00 fee and updated Livescan results to be submitted no more than 90 days prior to submission of the application. Please allow up to 30 days for processing once a complete application is submitted. Why was my license deactivated? Please go to https://floridasnursing.gov/questions-about-your-license-deactivation/ for more information. What is the enhanced Nurse Licensure Compact? Florida is a member of the enhanced Nurse Licensure Compact (eNLC). The eNLC allows a registered nurse or licensed practical nurse licensed in a Compact state to practice across state lines in another Compact state without having to obtain a license in the other state. It is important to remember that the eNLC requires nurses to adhere to the nursing practice laws and rules of the state in which he/she practices under his/her Compact license. If a nurse moves from one state to another and establishes residency, the nurse must apply for licensure in that state. Please visit the National Council of State Boards of Nursing (NCSBN) website (www.ncsbn.org) for a list of states that have implemented the Compact. If a party state issues a temporary permit or temporary license to an endorsee, that permit or license shall confer the same rights and privileges of nursing practice as does the permanent license among party states. Nursys will not track temporary licenses and employer must verify licensure directly from the state issuing the temporary permit/license. 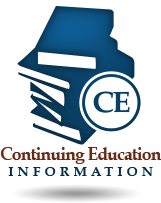 For more information provided by the National Council of State Boards of Nursing about the eNLC click https://www.ncsbn.org/94.htm. When will Florida begin issuing multi-state licenses? Beginning January 19, 2018, Florida will issue a multi-state license to new applicants if all requirements for compact licensure are met. Existing Florida RNs and LPNs will have the option to apply to convert their current licenses to multi-state licenses as of January 19th as well. Are current NLC states the same as the eNLC states? The states that are part of the eNLC are not exactly the same as the original NLC. If you have an eNLC multistate license, you can only practice in those designated eNLC states. You will need a single state license issued by every other state in which you plan to practice to continue to deliver care in each of those states. 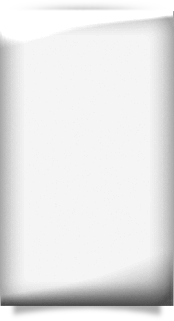 Click here to view a map showing up to date eNLC membership information. What does the eNLC mean for employers? Once the eNLC is effective, your nurses will now be able to practice (in person or by telehealth) in other eNLC states with just one license obtained in their state of residence. Faculty and military spouses will just need one license to teach or practice across states in the eNLC. The eNLC is only for registered nurses (RNs) or licensed practical/vocational nurses (LPNs/VNs), not for advanced registered nurse practitioners (ARNPs). For more information provided by the National Council of State Boards of Nursing about the eNLC click https://www.ncsbn.org/NLCA_Employers_Fact_Sheet. What are the Benefits of being part of the eNLC? The compact gives nurses the ability to practice in multiple states with one license and reduces regulatory requirements by removing the necessity for obtaining a license in each state. How do I know what my declared state of residency is? What if I was licensed in Florida before Florida joined the eNLC? license and must meet the following requirements. Which professions are eligible to obtain a multi-state license under the eNLC? The eNLC is only for RN and LPN licenses.